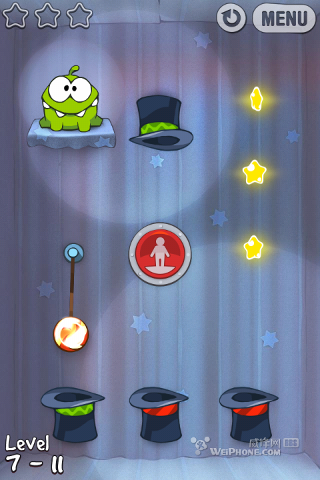 (1) "Magic Box" Level 4-11: BIG change to the level design ! 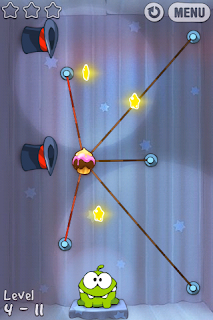 The old design had an anti-gravity device which should be introduced in the "Cosmic Box" (previously the 5th box and now the 8th), so this level was probably changed because now the "Magic Box" has become the 4th box instead of the 7th in the old box order. 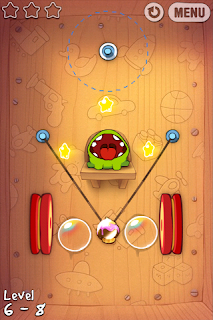 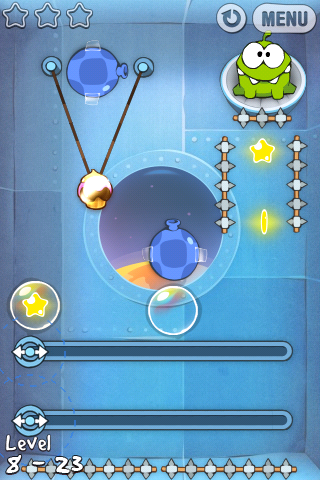 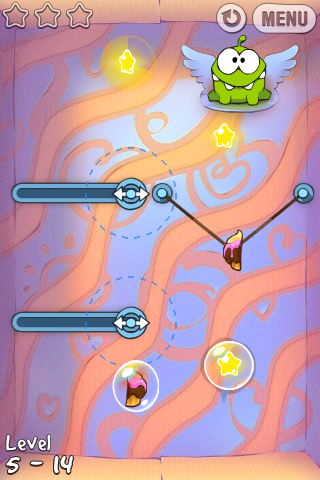 (2) "Valentine Box" Level 5-14: Removed 1 lever and shifted the starting positions of the levers and the left bubble. 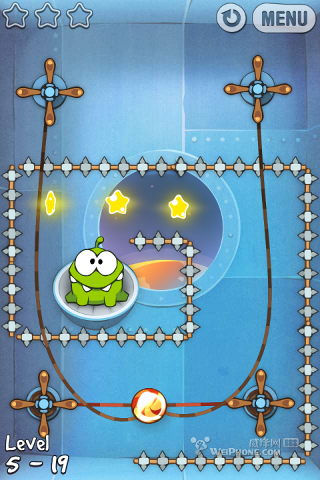 (3) "Toy Box" Level 6-8: The old design had an anti-gravity device which should be introduced in the "Cosmic Box" (previously the 5th box and now the 8th), so this level was probably changed because now the "Toy Box" has become the 6th box instead of the 8th in the old box order. 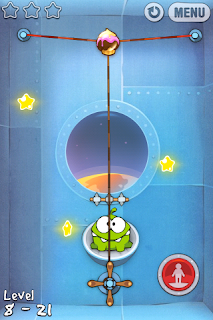 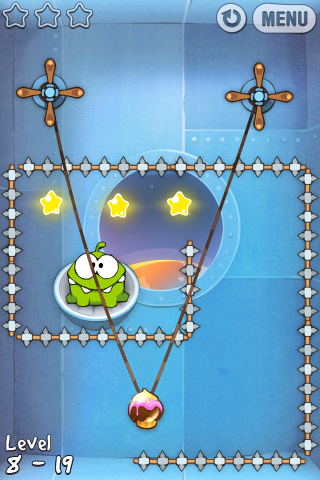 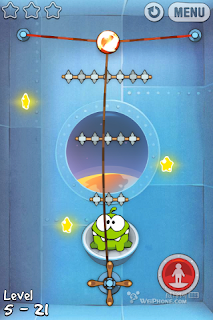 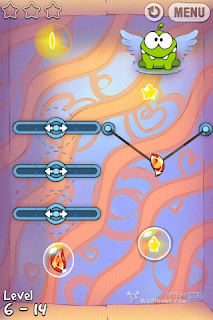 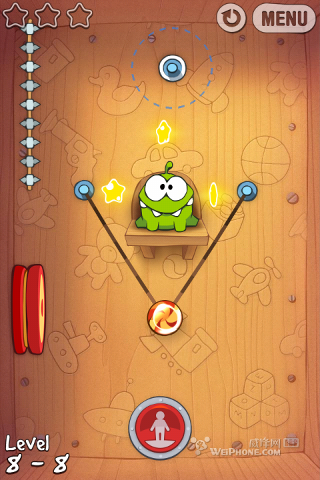 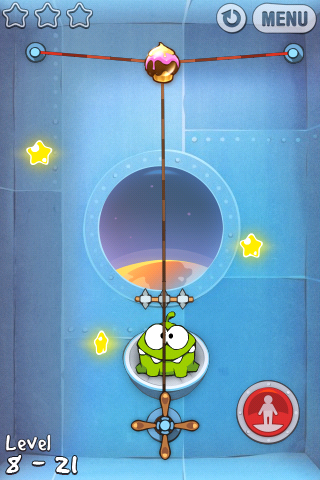 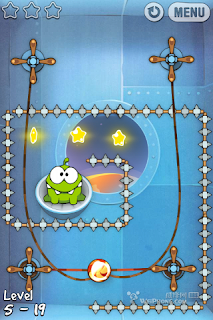 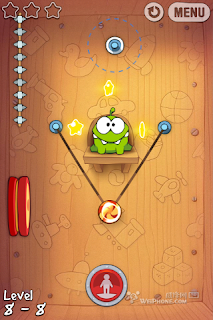 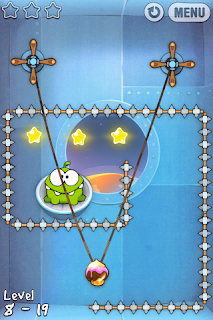 (4) "Cosmic Box" Level 8-19: Removed 2 wheels, 2 ropes and 1 row of spikes, and tightened the 2 remaining ropes. (5) "Cosmic Box" Level 8-21: Removed 2 rows of spikes. 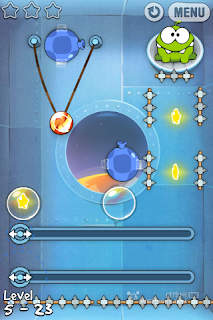 (6) "Cosmic Box" Level 8-23: Some spikes have been removed and the positions of the 2 stars on the right have been changed slightly.